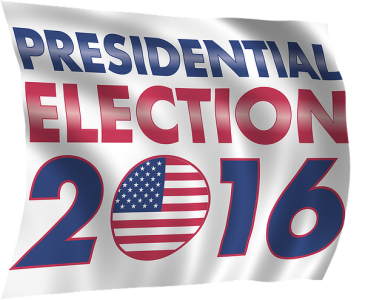 The nominating conventions are complete and the nation now has two major candidates for president. The parties showcased the messages and messengers for the campaign, as well as the core ideas of their parties as revealed through party platforms. What does this tell us about the level of interest at the national level for the problems of local governments? Do local governments exist beyond the big cities or largest counties? If campaign themes are a window into how the respective parties will govern, then the approach to local government and urban policy indicates another set of differences between the parties. The Republican Party convention in Cleveland featured speakers from all walks of life but only one big city mayor. Republicans control few city halls (only one of the top 10 and 13 out of the top 50). But in the prime time schedule, they did feature a county commissioner from Colorado, elected sheriff from Milwaukee, the current Mayor of Oklahoma City, Mick Cornett (who is also the president of the U.S. Conference of Mayors) and other former mayors. Mayor Cornett focused on the success of Republican mayors in areas such as infrastructure and quality of life. The other major focus of the prime time discussion regarding local policy related to policing and police-community relations. The Republicans go deeper into the topic of local government and associated issues in their party platform. The Democratic Party convention in Philadelphia featured more current big city mayors including New York, Boston, Los Angeles, Baltimore, Columbia, Tallahassee, Flint, Atlanta and more. There was also the elected sheriff from Alleghany County, Pennsylvania and former mayors from Los Angeles and New York City. Here speakers tied together issues related to education, poverty, law enforcement and infrastructure. Mothers of the Moment, the mothers of children who died due to police actions, brought another side of the issues of police-community relations. They were followed by a retired police detective who spoke about the heroism of first responders during 911 and medical care for them and recovery workers. Platforms began in the mid-19th century as a way for the parties to communicate ideas and values to the voters. Over time they have grown in detail and length. There are frequent debates in committee before and on the floor of the conventions. Typically, the nominated candidates have considerable sway over the adoption of the platform and which issues are highlighted and which are ignored. For voters, the platforms—and the candidates own policy proclamations—give an indication of how they may move while in office. The focus of the documents is on federal issues but they do give us good glimpses of ideas for federal-local relations as well as urban policy. The Republican Party platform addresses housing as a major issue and offers a critique of the role of the government sponsored enterprises and the Federal Housing Administration. In the same section, they call out zoning as a local responsibility that should be free of federal oversight apart from enforcing non-discrimination laws. Under transportation, the document particularly calls out ending highway trust fund subsidies for mass transit stating it is limited to six big cities and should be a local responsibility. They call for the end of prevailing wage provisions for transportation projects and encouraging public-private partnerships. The Democratic Party platform looks at the same issues but through a very different lens. There is an outline of a specific agenda for cities. The platform recognizes the importance of local leadership to set priorities with financial support. The document calls for increased investment in affordable housing, public infrastructure (including mass transit), education and health care. Support is expressed for investment in distressed communities and tribal lands. Both parties are committed to encouraging entrepreneurship as a way forward for cities and the nation’s economy as a whole. The Democratic platform endorses statehood for the District of Columbia while the Republicans express doubts and proclaim the need for a constitutional amendment to achieve the goal. Both platforms reflect the ideological and political orientations of the parties and their constituents. Republicans are skeptical about the use of federal power and have a section supporting the goals of the 10th Amendment. Democrats, who have the stronger constituency in the large cities, take a different approach viewing the federal government as an important partner and provider of resources. Come November, we will know which vision will prevail in the race for president, Congress as well as elections in the states and what agenda the winners will pursue with their mandate. As of this writing, there is also a possibility of divided government at the national level with the parties sharing control of the executive and legislative branches. The best hope for local government going into 2017 might be on the few areas of agreement and the thin reed of compromise between the parties. An excellent overview of the two platforms. Too often, in the media euphoria that surrounds national politics, local government is eclipsed. On behalf of the thousands of cities, counties, parishes, boroughs and townships, thank you.